Whomp whomp. There're no 8D8s for sale. 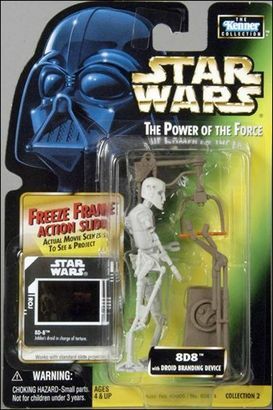 This figure brings back memories of the old vintage Kenner version. The bonus is that is comes with the machine that burns the feet of the astromech droid. Pretty cool to get if you want to build a Jabba's palace diorama.